We caught up with internationally renowned composer Christopher Theofanidis to learn more about him and his latest piece, "Off the Clock," which was commissioned for the AYWS’ 30th anniversary and will receive its world premiere at our May 19 concert. First and foremost, my long friendship with Scott Stewart! We always have a great time working together. But beyond that, the idea of an anniversary year and celebration became the themes that run through the work, and I think each of the movements keep that spirit in mind. To me, the title “Off the Clock” means you are doing something for your own pleasure, not just “clocking in” at work. This piece definitely had that feeling to me! When you write commissions for youth ensembles, do you approach your work differently? Only if the music director instructs me to! In this case, I know AYWS can play fantastically well, and so I wrote it as if I was writing for a professional ensemble, with no restrictions on myself compositionally. It happens less as I get older. I think the most important thing is to keep showing up to the table every day, and not feeling like you need to be divinely inspired to show up to that table. Rhythm is really important to inspiration and showing up is a big part of it. But, in the old days when that happened occasionally, I would look to metaphors for solutions – to see things from a fresh perspective, from a different angle. Why do you think organizations like the AYWS that provide competitive musical opportunities are important for students? The idea of something beyond your immediate classroom and local environment is very inspirational – it connects you to a greater world beyond your own walls and shows you there are different ways of seeing things. And the friendships and connections that happen at that very high level can last a lifetime! What advice do you have for aspiring musicians and/or composers? Early on, dedicate yourself to learning everything you can about music. Be extremely proactive – don’t wait for the information to come to you. Ask yourself questions about what you are hearing and observing. You will learn as much – or more – about this art from observation and interaction with friends as you will from teachers and directors. As you get older, music becomes a natural outgrowth of the way you live your life and the way you see things. It is both a values system and a kind of faith. As such, it requires a lot of stimulus from outside of the musical world as well as from within to keep it all fresh. How do you think music helps prepare students for the future – regardless of whether or not they later pursue music as a career? First, it is collaborative at the highest level, which is on its own is a rare and beautiful quality. To be collaborative, you have to listen really attentively, which is a great life skill. It means you postpone your initial impulse sometimes. And it means you try to get someplace you could not get to entirely on your own. How many things in life allow 80 or so people to do the same thing at the same moment? And, in all of this, one has to develop a kind of courtesy and polite way of interacting in order to arrive at the best results – another important life skill. The other thing is that in order to do this art at the highest level, you must be in constant dialogue with yourself about what is important, how perfectly to hone something, and how to get there. That kind of self-questioning and thinking is invaluable in life. Why do you think music is so important in today’s world? It is a common activity. At it’s best, it’s like looking back on the planet from outer space – you just marvel at the result. It amplifies human themes in ways that someone who is open to them feels them even more deeply and vividly than if that piece weren’t there. Mr. Theofanidis holds degrees from Yale, the Eastman School of Music, and the University of Houston, and has been the recipient of the International Masterprize, the Rome Prize, a Guggenheim fellowship, a Fulbright fellowship to France to study with Tristan Murail at IRCAM, a Tanglewood fellowship, and two fellowships from the American Academy of Arts and Letters. In 2007 he was nominated for a Grammy award for best composition for his chorus and orchestra work, The Here and Now, based on the poetry of Rumi, and again in 2017 for his bassoon concerto. His orchestral work, Rainbow Body, has been one of the most performed new orchestral works of the new millennium, having been performed by over 150 orchestras internationally. Mr. Theofanidis’ has written a ballet for the American Ballet Theatre, a work for the Orpheus Chamber Orchestra as part of their ‘New Brandenburg’ series, and two operas for the San Francisco and Houston Grand Opera companies. Thomas Hampson sang the lead role in the San Francisco opera. His work for Houston, The Refuge, features six sets of international non-Western musicians alongside the opera musicians. He has a long-standing relationship with the Atlanta Symphony and Maestro Robert Spano, and has just four recordings with them, including his concert length oratorio, Creation/Creator. His work, Dreamtime Ancestors, for the orchestral consortium, New Music for America, has been played by over fifty orchestras over the past two seasons. He has served as a delegate to the US-Japan Foundation’s Leadership Program, and he is a former faculty member of the Peabody Conservatory of Johns Hopkins University as well as the Juilliard School. 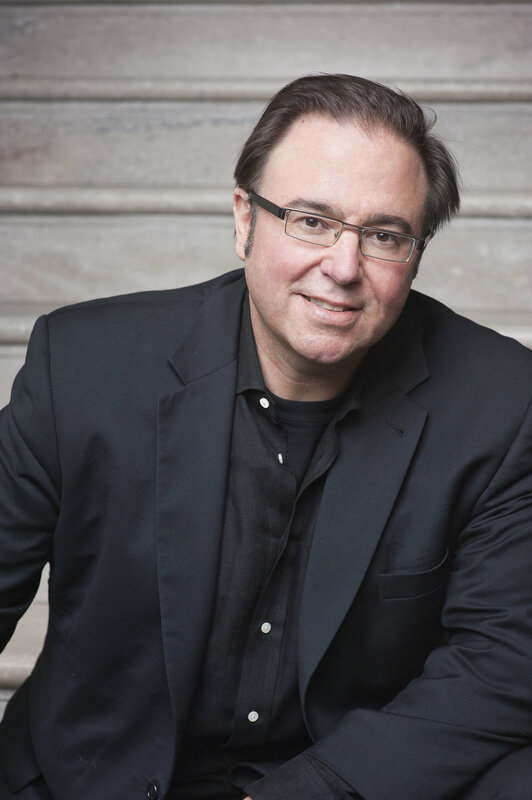 Mr. Theofanidis is currently a professor and chair of composition at Yale University, and composer-in-residence and co-director of the composition program at the Aspen Music Festival.